As many of you may have heard or seen on social media recently, the FDA put out a warning advising dog owners that there appears to be a link between grain-free, exotic ingredient or boutique diets and a dangerous heart condition called Dilated Cardiomyopathy (DCM). Given how many people feed their dogs these foods, this has the potential to be a VERY big issue! We’ve been working overtime to find as much up to date, accurate information as possible to relay to you to help you sort out the facts about your dog’s food. So, what exactly happened? How worried should we be? Over the past two years, veterinary cardiologists across the country began noticing an alarming trend: a spike in atypical breeds (those without a known genetic predisposition) with DCM. DCM typically has two causes: a genetic predisposition within the breed (Great Danes, Newfoundlands, and Boxers for example) or low taurine levels. Taurine is an amino acid that dogs get from their diet, when fed a properly balanced nutritional dog food. In the past dogs found to have taurine-deficient DCM were usually eating an improper diet, such as a raw or home-cooked diet that had not been formulated by a veterinary nutritionist. But that was in the past, and recently many different breeds of dogs were observed to be developing DCM. All of them appeared to be eating an appropriate diet. The cardiologists began to compare the dozens of cases side by side, searching for a common factor that could link these cases and provide some answers. As it turned out, the only thing all of these affected dogs had in common was they were all eating a grain-free, exotic or “boutique” diet. These dogs began the treatment for nutritional deficiency DCM (diet change and taurine supplements) and began to improve. The link was clear enough to warn the public. In the past decade the pet food industry has EXPLODED with a variety of “high-end” dog foods claiming human-grade ingredients, which are also more “natural” for the dog. These grain-free diets are full of alternative carbohydrate sources, such as potatoes, peas, and lentils, and other "exotic" ingredients. They sound like something you would make for yourself! Along with these diets came a change in pet food marketing, with pet food manufacturers claiming that grains are unhealthy for dogs and cause allergies, and that by-products and meals are void of nutrition and used as “fillers” by those evil, bigger pet food companies to cheat you out of your hard-earned money. The prevailing message became, "If you love your dog, feed them a diet full of organic ingredients you would like to eat yourself." This all sounds great, except that very little of it was true. 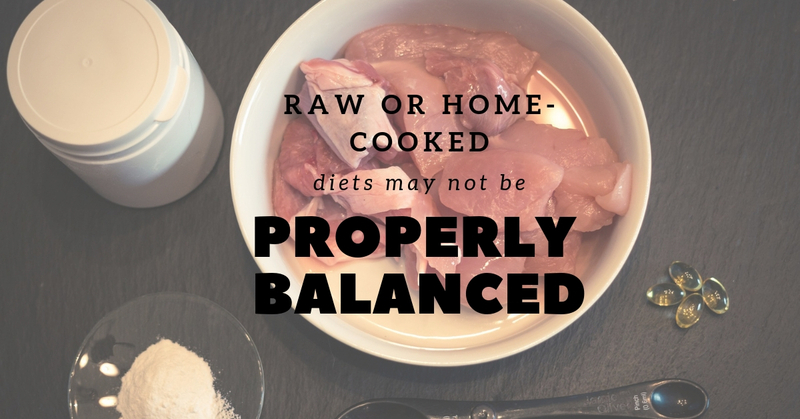 The truth of the matter was (and is) that the more exotic ingredients you mix together, the harder a diet becomes to properly balance. Nutrition is a medical science, and diet formulation should only be done by a qualified Veterinary Nutritionist. 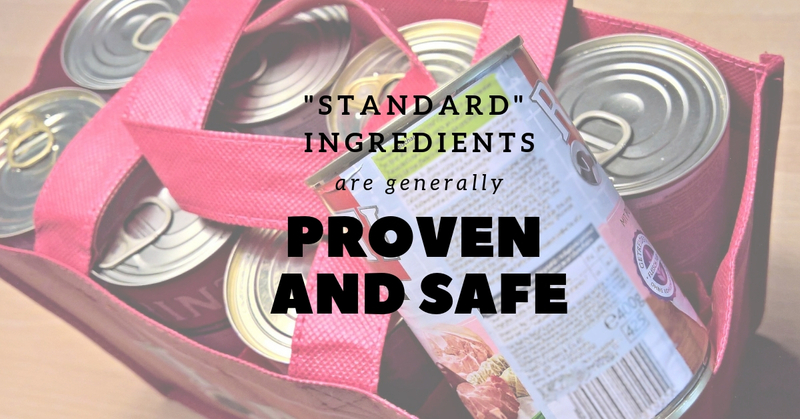 The ingredients commonly used in “standard” dog foods, such as chicken, beef, grains, and yes even by-products, are used because extensive studies have been done over decades and proven these ingredients to be nutritious and safe. The “standard” dog food companies did not exclude the expensive, high end, exotic ingredients because they were cutting corners, but because their nutritionists knew the dangers of using ingredients that were not fully understood, and that there was no nutritional need for these massive changes. So, what are the dangers in these foods? Why does changing how a diet is formulated matter so much, and why is it only the smaller, boutique brands that appear to be affected? Why does it matter if your dog’s food contains bison and potato instead of chicken and rice? It matters, because issues with diet can take years, as in this case, to become apparent, and deviating from the known science of nutrition is a risk! The majority of these boutique diets are formulated with little to no input from a qualified veterinary nutritionist, and pairing that with the huge variety of ingredients whose nutritional components are unknown is a recipe for disaster. Potatoes and legumes, in particular, which are primary ingredients in many of these diets, are suspected to have taurine blocking properties and need to be managed very carefully. Different ingredients can change the body’s ability to process or create taurine, and each new ingredient added to the mix can further block, subdue, cancel out, or otherwise change aspects of the diet, often in unexpected ways. The bottom line: creating diets without the proper skills and training to do so, and marketing these foods to owners without long-term safety testing is dangerous and makes this unfortunate outcome unsurprising. While we don't want to cause widespread panic, this issue is real, serious, and risky enough to our patients that we are currently recommending that any clients who have been feeding their dog boutique, grain-free, or exotic-ingredient diets should call to schedule an exam with taurine level checks on their dogs. We hope these proactive measures help to prevent any of our beloved patients from developing DCM and serve to educate our clients and the public about the value of a science-based approach to nutrition. And, as always, if you have any questions about your pet's nutrition and healthy, please contact us!